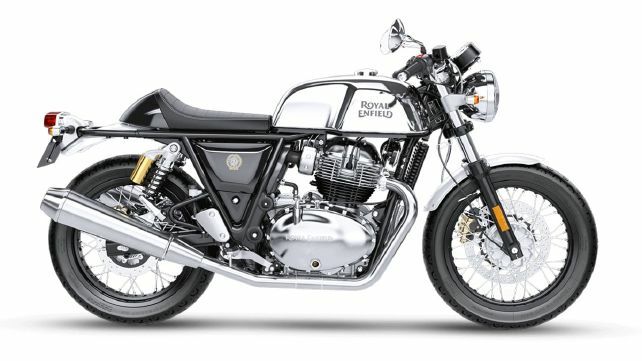 Royal Enfield launched Continental GT 650at with an initial price of 2.65 lakh (ex-showroom Mumbai). 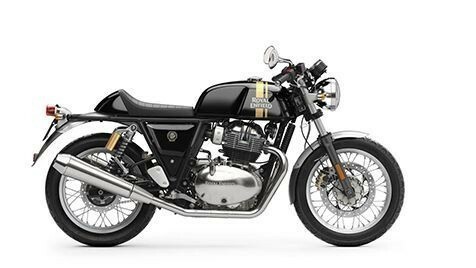 It has a cafe racer design with the clip-on handlebar, fast exit and a lower seat height of 790 mm. Royal Enfield Continental presents motorcycles in five different colour options. 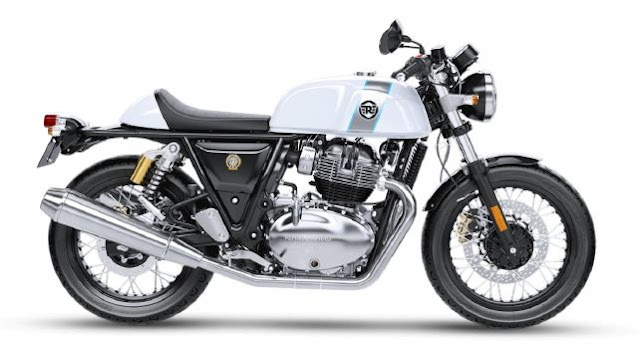 The delivery of the motorcycle has started, however, the booking has already started on the Royal Enfield dealership in India With the Continental GT 650, Royal Enfield has also introduced Royal Enfield Interceptor 650, which starts from 2.50 lakh rupees. The Royal Enfield Continental GT 650 is a sportier of two models based on Royal Enfield's 650cc twin cylinder platform. This cafe follows the racer format, and a better experience for Focus Rider escapes from the Pillion seat. Continental GT 650 will be available in five different colours, four of which are single colours black, silver, white and one very blue - and a single twin-tone paint scheme, grey/black. Instrumentation is also retro, an analogue speedo and tacho with twin-pod cluster housing, with information about a small digital pod about fuel level, odometer and two trip meters. In a similar vein, light also does not provide any LED and no DRL - A simple round headlamp works. 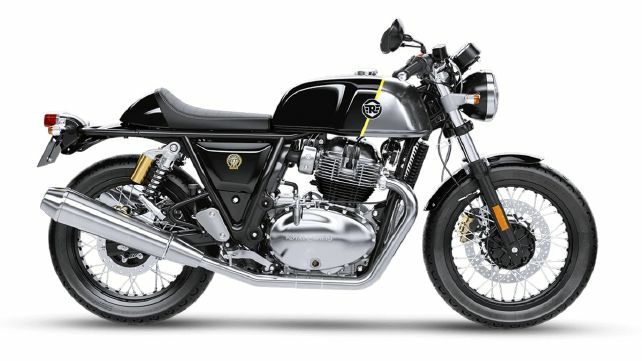 From 2.65 lakh rupees, the ex-showroom, Royal Enfield Interceptor competes with the price of 650 ktm 390 Duke, although in Kalpana it is very close to the Kawasaki Z650. However, neither is a retro-style cafe racer. Construction of its first motorcycle in 1901 creates Royal Enfield one of the world's two oldest manufacturers, and after producing a large number of motorcycles for military use during World War I, the British company actually built an old bath Pathar created an underground factory in mine to avoid the vulnerability from bombardment impressions during WWII. Royal Enfield has produced 700 cc twins since 1953, culminating in the 736 cc interceptor of the late 60s. Unfortunately, the British motorcycle industry was not able to escape from the Japanese invasion of the '70s, and two Royal Enfield cabinets closed in 1970. Royal Enfield finally established two factories in India. To give you an idea of ​​the motorcycle market in India, Royal Enfield has sold over 820,000 motorcycles in 2017-18 and still represents less than 5 per cent of total two-wheeler sales in that country! Before you dismiss the company as a bit player in the Indian market, it should be noted that the total two-wheel sales number in India includes mostly mopeds, scooters and some small-displacement motorcycles. Meanwhile, Royal Enfield offers a bike of only 350 cc and above, whose sales are growing at an annual rate (more than 23 per cent) faster than any other Indian motorcycle manufacturer from the point of view of a surprising one Availability. With full 270-degree crankshaft (ala Triumph Bonneville and Yamaha MT-07) the new air-air-cooled, SOHC, 648 ccs, parallel-twin, four-valve-per-cylinder engine used in both bikes have been done. Powerplant externally looks more retro than any other "classic" bike, but there are so many modern updates inside, such as valve rocker arms which use rollers on the cam side and the screw valve adjustment on the valve side Tapetate (for low friction) and ease of maintenance), a power assistant slipper clutch, and a primary gear-driven clutch. The electricity data claimed is modest, with a load of 7,250 rpm at 47 bhp and a torque of 38 pounds at 5,250 rpm. I can already hear fantasy-chart mews, "only 47 horsepower?" Please keep reading. Despite being air-cooled, the engines are clean enough to pass EPA and Euro 5 emission standards, RE claims that it will also pass Euro 6 standards when effective in two years.